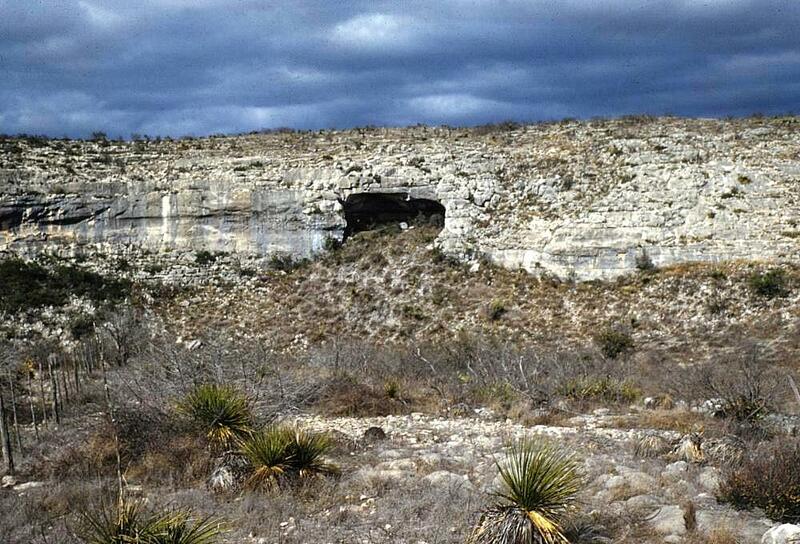 More than 10 elaborately prepared bodies recovered from caves in West Texas could rewrite the history of how people processed, buried, and even thought about the dead in the ancient Southwest, according to a new study. Some of the remains, dating back as much as 4,000 years, were naturally mummified by the arid climate, leaving traces of skin, hair and internal tissues intact. Others were ritually “bundled,” a practice that involved flexing the deceased into a fetal position, wrapping it in a series of woven mats, and sometimes binding it with ropes made from human hair. One set of remains, unearthed from a cave known as Mummy Shelter, was of an exceptionally well mummified adult male, and is at least 800 years older than was previously thought, dating back some 1,900 years. Another set, of a one-year-old child, is the most ornate infant burial found in the region and has been dated at 3,800 years old — the oldest example of bundling ever studied, according to the research, published recently in the journal Plains Anthropologist. 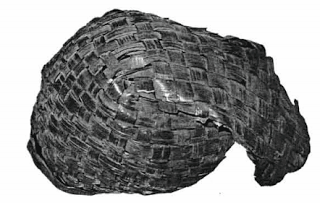 The baby was interred in a rockshelter with a host of elaborate grave goods, including four ornaments carved out of mussel shells, pipes made from hollow reeds, and finely woven baskets that contained two tiny skull caps, braided out of natural fiber and affectionately painted in red diamond and zigzag patterns. Other bodies, removed from caves near where the Pecos River meets the Texas-Mexico border, have been found with baskets full of spare clothing and even food, suggesting that the dead were being outfitted for the afterlife. Though not widely known today, except to archaeologists and relic hunters, these practices appear to have been common for a millennium or more among a nexus of cultures known simply as the Lower Pecos. But Dr. Solveig Turpin, an anthropologist at the University of Texas at Austin who conducted the research, says her study — particularly of the festooned infant — pushes back the use of these customs by at least a thousand years. She conducted radiocarbon dating on 11 bundled burials from the Lower Pecos region, taking samples from the fiber wrappings. Of those samples, 9 turned out to be 1,300 to 2,300 years old, dating to the end of a period known as the Late Archaic, when experts generally agree that such fastidious funerary practices were more common. 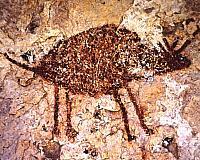 But tests of the infant bundle dated it to 3,800 years ago, more than a millennium earlier than expected. The results were so unusual that Turpin conducted the tests twice. “I was surprised by the first [result] because it was older than the other baby [remains’] dates, so I ran a second sample,” she told Western Digs by email. Much of what we know about the Lower Pecos comes largely from burials like these, and the thousands of pictographs found on rocks throughout the region. Rather than a single, coherent civilization, the region may have seen a continuum of cultures, beginning around 9,000 years ago and culminating in historic times with the absorption of its heritage into the tribes of south Texas and Northern Mexico. The remains studied by Turpin had been excavated decades ago, over a period of 50 years. Some had been looted by relic hunters and kept in private collections and museums; others were professionally excavated in the 1930s. By tracking down the far-flung remains, Turpin was able to create a comprehensive record of Lower Pecos life, and death.Taken together, the new dates illustrate a pattern in which these complex burial patterns waxed and waned over time. 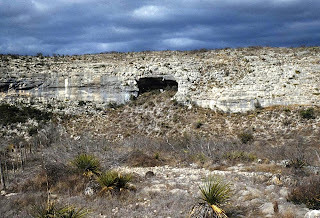 Turpin theorizes that the customs may have fluctuated with the climate — during cooler, wetter periods when the grasslands extended into ancient South Texas, so too came the Plains hunters and their customs. And when the region returned to the arid landscape like the one we know today, living — and bundling the dead — in dry rockshelters also regained favor, a lifeway of a desert culture.